As part of the push toward hardware flexibility that Microsoft announced in February, seventeen third-party Windows Phones are now either in production or will be announced shortly, a senior Microsoft executive said late Wednesday. And the hope is that more are on the way. 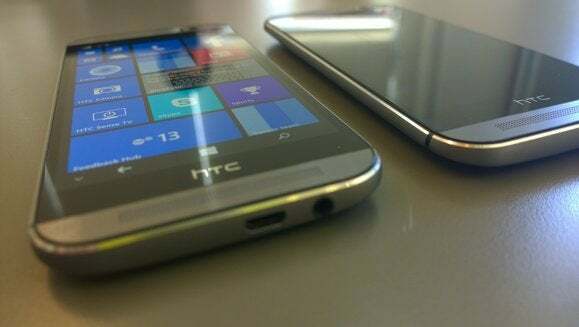 Microsoft and HTC unveiled the HTC One (M8) for Windows earlier this week, a carbon copy of the Android version of the phone that HTC announced in March. So far, it’s the most high-profile indication that Microsoft's getting any traction from its more open policy toward third-party hardware, which the company announced at Mobile World Congress in February. “We think people like choice, and will appreciate having that choice,” said Greg Sullivan, the director of Windows Phone at Microsoft, in an interview this week. “While this is the first flagship [phone], we’re open for business,” Sullivan added. The HTC One (M8) for Windows has almost all of the same hardware as the Android version. According to Sullivan, Microsoft’s thinking changed from Windows Phone 7, when the company felt it had to, in Sullivan’s words, “take responsibility for the end user experience”—all of it, including “strongly prescribed guidance” about how those partners could implement the Windows Phone hardware. That included a mandatory hardware camera button, for example. 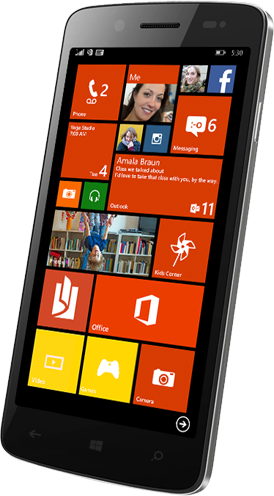 Microsoft launched Windows Phone 7 in October, 2010. It’s hard to believe now, but the leading smartphone platform maker in the United States then was RIM (now BlackBerry), with 35.8 percent, according to comScore. Microsoft with Windows Phone was fourth, with just under 10 percent, in a smartphone market otherwise divided between RIM's BlackBerry, Apple's iOS, and Google's Android. By February, 2014, Microsoft’s market share had fallen to 3.4 percent, and Android had risen to a commanding 52.1 percent of the market. With hardware makers snapping up the free Android OS while Microsoft’s market share fell further and further, Microsoft needed to make a change. At MWC, Microsoft’s attitude shifted: Instead of asking hardware makers to design for Windows Phone, Microsoft would implement changes designed for them. Microsoft now supports three popular Qualcomm SoCs, as well as easy-to-build reference designs based upon them. Microsoft also said it would allow soft keys in place of dedicated hardware buttons, as well as dual-SIM designs to accommodate phones released overseas. And the first Windows Phone 8.1 update, now available via Microsoft’s developer program, supports “smart covers,” like the HTC Dot View cover for the One (M8). 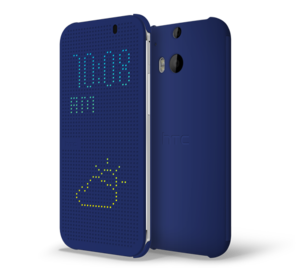 HTC's Dot View case shows who is calling. Users can also call upon Cortana by sliding a thumb down the case. 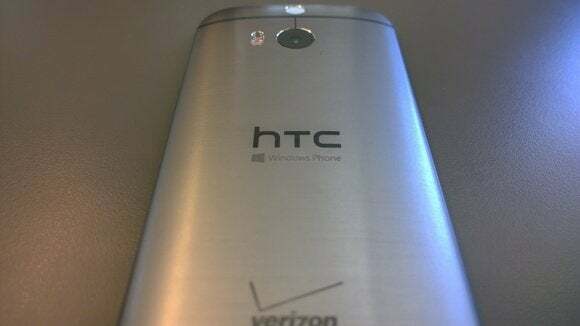 All this had an effect on hardware makers like HTC, which planned to release a Windows Phone version of the One (M8) all along, according to Jeff Gordon, the worldwide communications manager for HTC. 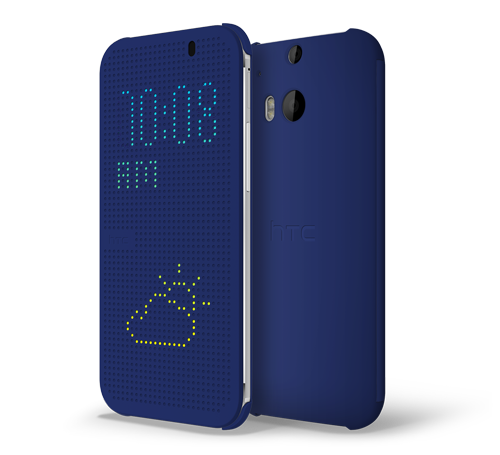 And both Microsoft and HTC were interested in making it happen. The delay, he said, was due to “engineering resources that were still ramping up”. Microsoft’s Sullivan said those resources included several dedicated HTC engineers who worked onsite at Microsoft, directly with the engineering team. “And I think the onus was on us to enable our software to do what we need to do on this device,” he said. The Micromax Canvas Win, one of the third-party Windows Phones you probably won't see in the United States. One particular aspect of Windows Phone, for now, remains sacrosanct: the user interface, which Sullivan called “one of the core things that sets us apart.” In other words, don’t expect a Windows Phone skinned in the style of HTC’s Sense interface. For the last few years, however, the Windows Phone hardware ecosystem has been the Nokia Lumia line and not much else. A little variety, Microsoft hopes, could be the spice that livens up the moribund Windows Phone market.